Saudi Arabia's Water & Electricity Company (WEC) said a total of 71 developer consortiums have expressed interest in the independent water project (IWP) being set up in the kingdom's Yanbu province using reverse osmosis (RO) seawater desalination technology. Of these around 30 are Saudi developers, who are keen to clinch the country's ambitious project, which boasts a potable water capacity of up to 450,000 cu m per day, said senior WEC officials. The global giants eyeing the project include Canadian engineering major SNC Lavalin; leading French groups Suez International, Veolia Middle East and Engie and top Spanish desalination project specialists Tecnicas Reunidas, Abengoa (Spain) besides Sumitomio and JGC Corporation (Japan); Bechtel (US); Doosan Heavy Industries & Construction (Korea); Fisia Italimpianti (Italy) Shanghai Electric Group (China) and two major companies from India - Adani Infra (India) Limited and VA Tech Wabag. Among the regional players, the big names in the race are UAE's Mubadala Investment Company; Abu Dhabi Future Energy Company (Masdar) and Utico apart from Orascom Construction (Egypt), stated the officials. In a major boost to the local industries, many prominent players from Saudi Arabia are in the race for the coveted project led by regional construction giant Acwa Power. The others in the fray are leading construction major Saudi Binladin Group; Abdul Ali Al Ajmi Company; Abdullatif Jameel Commercial Development Company; Alblagha Holding Company; Aljomaih Holding Company; AlKawther and Almashariq Al Bawani Company; Alfanar Company and Aqua Treat Group besides GS Inima Environment; Gulf Investment Corporation; Haji Abdullah Alireza & Company; Malakoff International and Marafiq, they added. 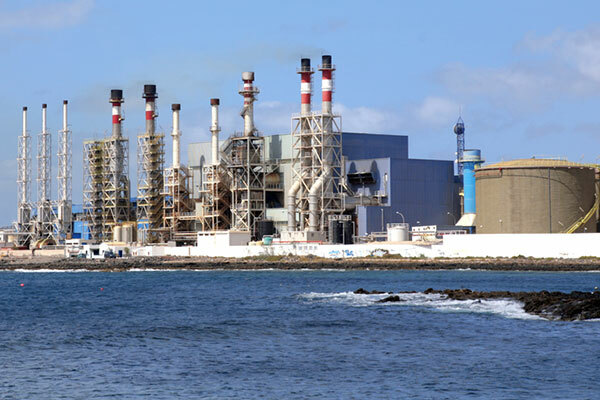 The desalination plant will come up near the town of Ar Rayyis (140 km west of Madinah), on the Red Sea coast of Saudi Arabia and power supply will be facilitated from the high voltage network. A strategic project for the Saudi region, the Yanbu Phase 4 Independent Water Project has several leading global industry experts in the advisory role. Sumitomo Mitsui Banking Corporation DIFC Branch is the lead and financial advisor for the transaction, DLA Piper Middle East the legal advisor and ILF Consulting Engineers the technical advisor. WEC officials said once the winning developer or developer consortium gets selected, its scope of work will include development, financing, procurement, implementation, operation and maintenance of the 450,000-cu-m desalination plant, together with associated infrastructure and facilities.